The Drama class at Summit Public School: Tahoma is liked by many of the students who participate in this Expeditions course. This is because many of the students reported that they love the teachers and the people who participate in this course. The students said they love this course because the teachers care and prioritize the learning of their students. The teachers of this class try to teach things in life that school is not able to normally teach, such as social skills. The teachers who instruct the class try their very best daily to help and teach the students, such as teaching them the untold rules of the grown-up world that’s outside of school. 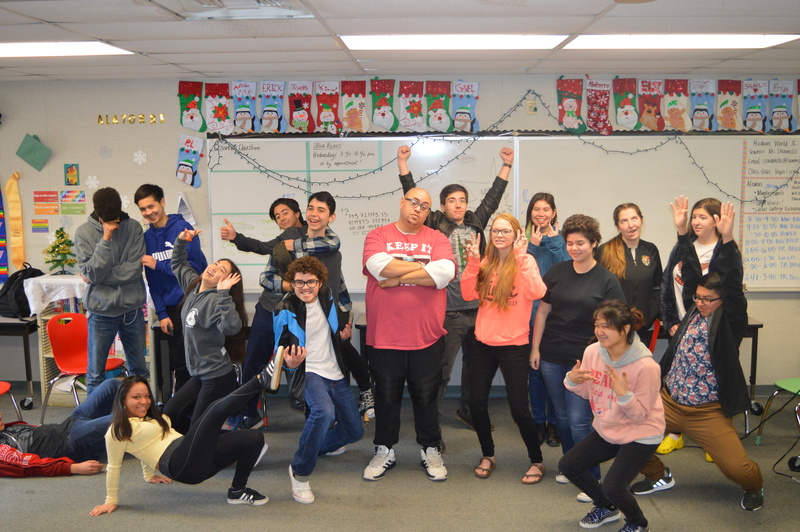 Ron Johnson, the Drama teacher who goes by Mr. Jay, really treats his students like adults. Students said that when the teacher treats them like adults, they act like adults in return, while having fun in the process. The teacher tries to set the environment of the classroom to a level where the students can all connect to each other so that they can start getting to know each other and work with one another. This is helpful to the students as the subject that they are learning requires them to get along with one another so that everyone can be in a mood where they are working things out with each other. Every day, before the class starts, students participate in an activity called “what’s good.” “What’s good” is when everyone sits in a circle and says at least one thing that is good in their life; it doesn’t have to be big, just one good thing that happened to them.